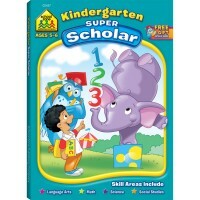 With this School Zone's Alphabet Preschool 96 Pages Super Deluxe Workbook from the Get Ready! 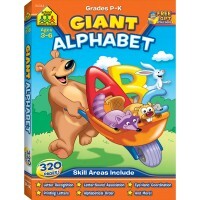 series, your child will discover just how much fun learning letters can be. 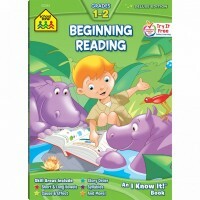 Combining sounds, letters, pictures, and words is how early reading begins! 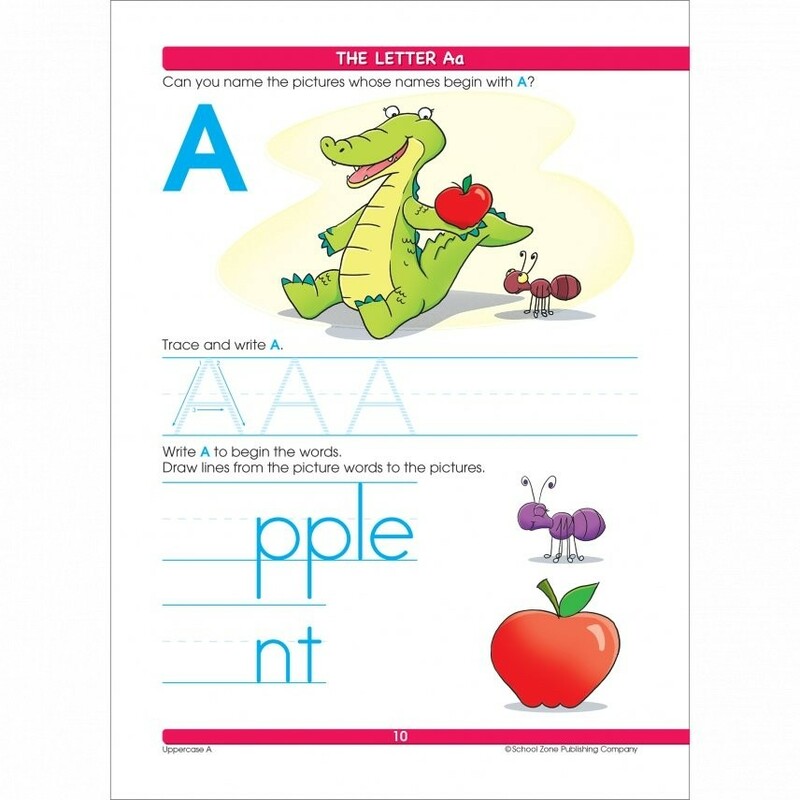 With this School Zone's Alphabet Preschool 96 Pages Super Deluxe Workbook from the Get Ready! 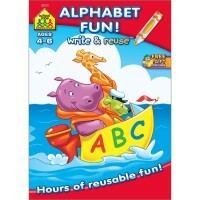 series, your child will discover just how much fun learning letters can be. A turtle drives a tractor with a turkey passenger on board. A lion sips lemonade. A monkey mops up. 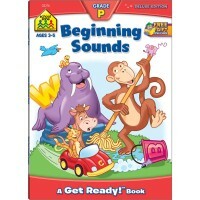 A wide range of activities encourage learning beginning sounds and pronouncing full words. 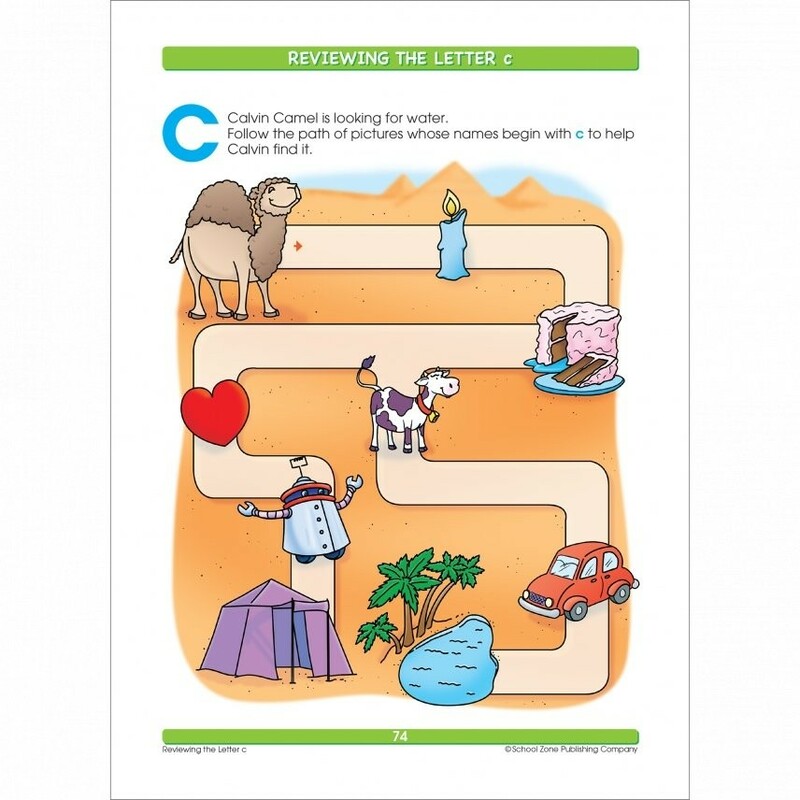 They also provide opportunities to practice tracing and writing letters. 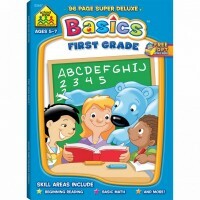 With a pencil or crayons, and perhaps just a bit of coaching from you, your child will practice and learn for many happy hours. 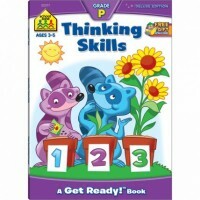 This Educational Toys Planet's workbook features playful, full-color page format, multiple illustrations on every page, instructions written in clear, block-style, perforated pages great for individual worksheets, concept and skill focus listed at bottom corner of each page, easy-to-follow instructions on every page, Parent Guide inside front cover, Certificate of Achievement inside back cover. 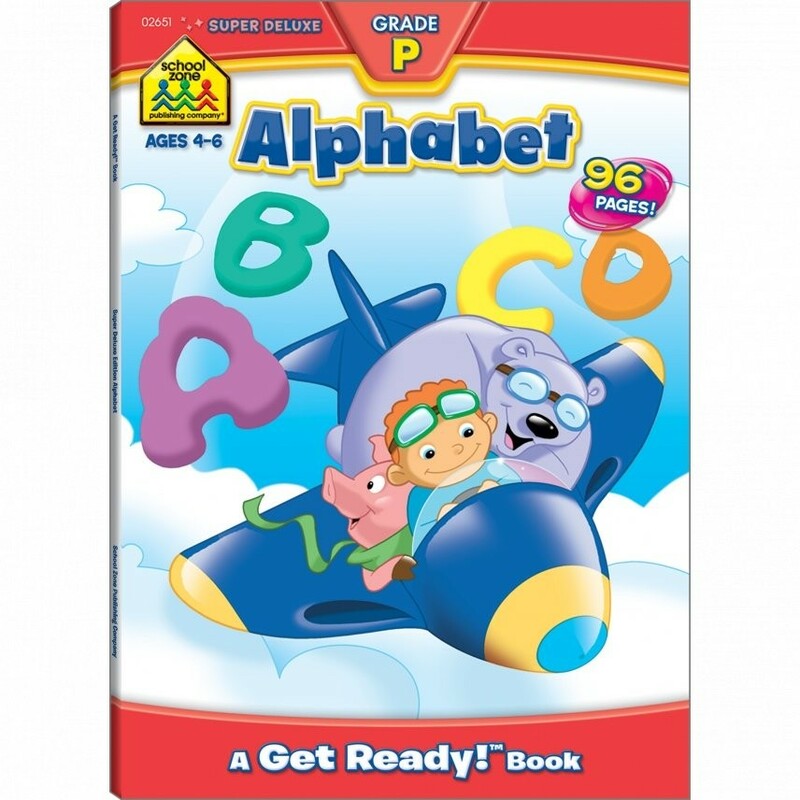 Dimensions of package 7.75" x 0.25" x 10.75"
Write your own review of Alphabet Preschool 96 Pages Super Deluxe Workbook. 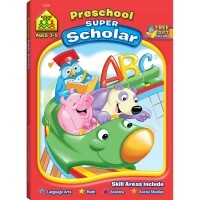 Rating: 4 Great supplemental preschool book for homeschooling by By A customer Great supplemental preschool book for homeschooling. 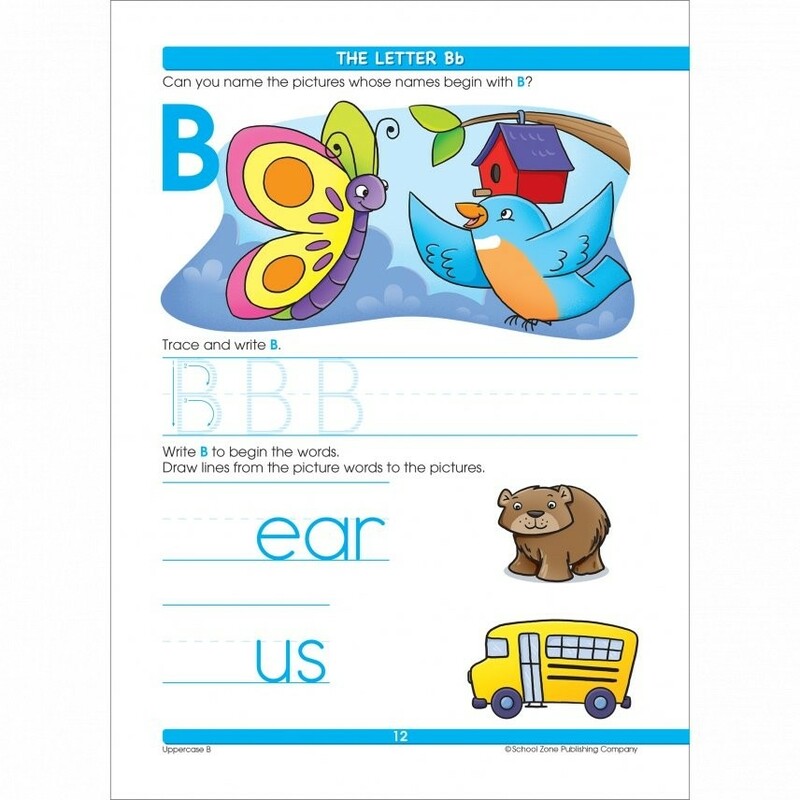 I let him do one sheet per week to introduce him to the letter and practice tracing and writing. 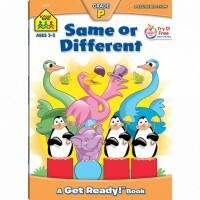 Rating: 4 This is great! Simple by By A customer This is great! 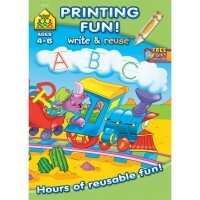 Simple, but challenging, good prep for pre-K, only wish it was dry erase and not actual paper.